Cowboy Country is a true reflection of the sometimes humorous, often dramatic and always fascinating lives of the people whose contribution to the West is as permanent as a brand. Join us as we celebrate the western lifestyle recognizing century and heritage ranches; meet the famous and legendary characters in our classic profiles, Trailblazers and Living Legends. Learn to create culinary delights with Cowboy Cooking, tour beautiful homes of the West and marvel at the craftsmanship of Western artisans. Join in the adventures at rodeos, cowboy gatherings and real western events. 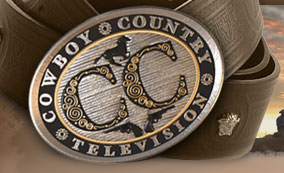 Whatever your taste, whatever your style Cowboy Country Television has something for you!